If you work the stereotypical 9-to-5 job like myself you just clocked out and your weekend has officially begun. Congratulations, we made it! If not then just keep your head up, your weekend is coming. As we all approach the weekend in some capacity I wanted to take the time to share something with you all and plug something that I haven’t in quite some time, the BYB Hub. If this is the first time you’re hearing about the BYB Hub let me give you a quick overview. 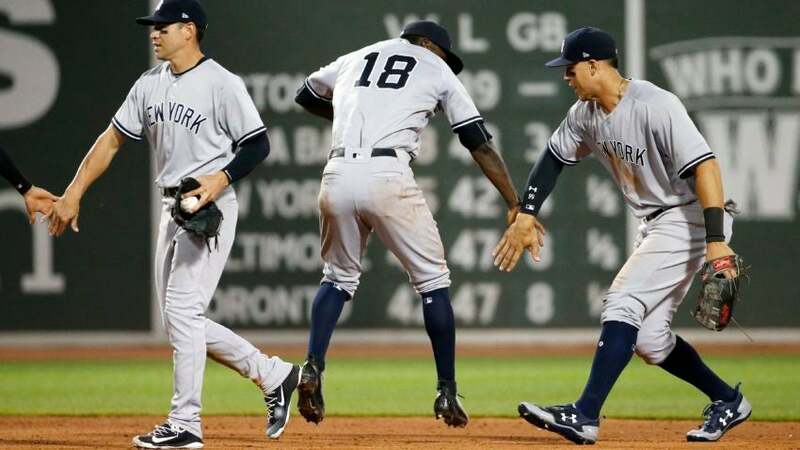 The BYB Hub was started up by Robert Casey of Bleeding Yankee Blue (BYB) to give writers the opportunity to showcase their work and talent on a bigger stage than they may normally be accustomed to. I can remember when Bryan Van Dusen and myself started this blog we didn’t have someone like Mr. Casey reaching out and publishing our work on a one-stop shop for all to see. We grinded, we worked hard and we tried to do things the right way and the only way we knew how. Now not to say that the blogs that are listed here aren’t doing that, they wouldn’t likely be listed here if they weren’t, but what I am saying is the Hub was designed to make that easier and beneficial to all. As we gear up for the weekend here are a few posts and links from the BYB Hub. Go and check out the Hub at BYBHub.Blogspot.com where great sites like ours, Section36 (a great Red Sox blog for you to read just in time for the weekend series), BYB are located. This is just not for Yankees related materials and fans only either, eventually the hopes are that all 30 MLB teams are showcased in some capacity. So check it out and watch us grow. If you know of anyone who should be added to the hub then reach out to myself (@GreedyStripes) or Mr. Casey (@BleednYankeeBlu) on Twitter. Thank you in advance and enjoy your reading and your weekend! Barry Millman of BYB is not a fan of the new nickname jerseys for MLB Players Weekend. Section36 talks about how trades can mess with your Fantasy team, and his specifically after the Red Sox acquired Addison Reed from the New York Mets. Bullpen, Baseball and Sock Talk is an Oakland Athletics blog that went over the last 50 seasons for the club. Great post, check it out. Girls Like Baseball Too talked about her experience at Cleveland's Progressive Field during Andrew Miller jersey giveaway night. Notes from the Sally released their Top 25 prospects list. So it Seems…. The Hell w/ the Mets! !